Last year, I attempted to use Peer Instruction (PI) in the networks course, hoping that it would correlate with class attendance (it didn’t; see  and related post), but it was useful for various reasons nevertheless. So, I tried again this year and, imho, with better questions (the results are ambivalent regarding class attendance—TBC). But what are “better questions”? 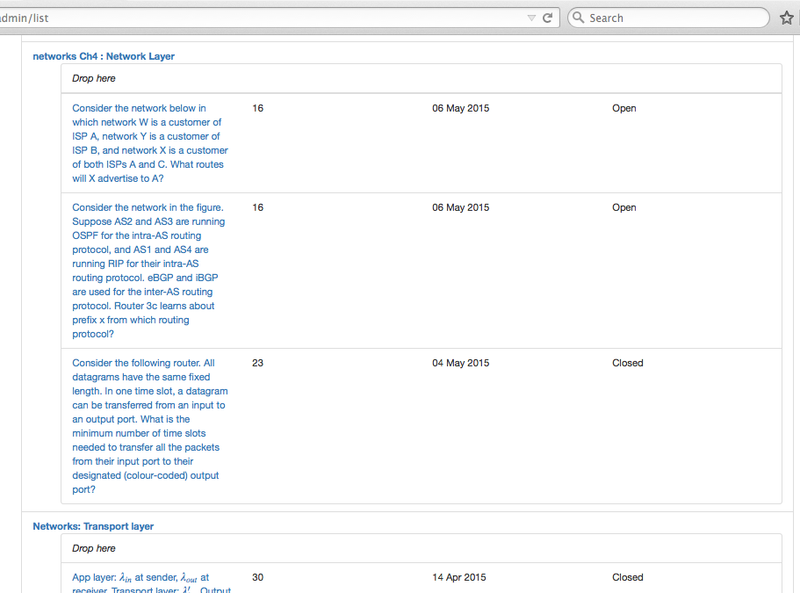 There’s no such thing as a ‘concept inventory’ for networks, like there is for physics where PI was applied to first . 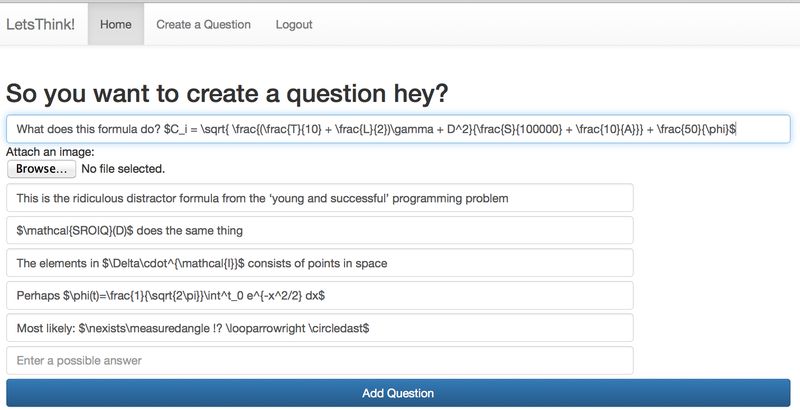 The PI 4 CS website has several sets of PI questions and the ones I checked for theory of computation are really good (discussed here), but there are none for networks. So I played around from scratch. One issue with last year’s installment was that software-based PI didn’t do the job, because none of the freely available tools have the feature to show figures, or have too many other shortcomings to use effectively in the classroom , therewith limiting my options. One of our students developed a funky PI tool this year (that I will write about later); suffice to say, I can do questions with math display and figures now, so that that issue was solved. 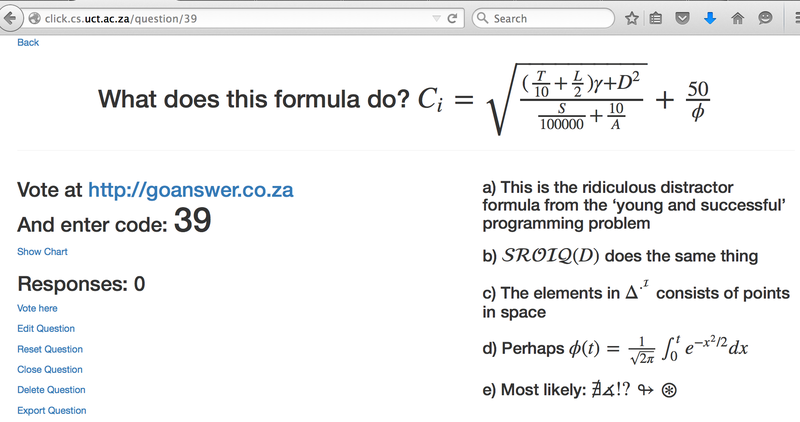 I’d searched a bit on guidance on designing PI questions, to no avail, until after the course’s installment when preparing for this post, one useful result turned up, being Julie Schell’s blog post over at teach.com (a search engine indexing lag issue, it appears). Mine seem to be mostly fine with respect to those suggestions, so I will give some examples below. Let me start with a PI question that essentially also returned in the exam, though it was reworded as a non-MCQ question (yes, just to rub it in to those students who did not attend class). A screenshot of the PI tool is shown below, where the graph comes straight from the course slides. 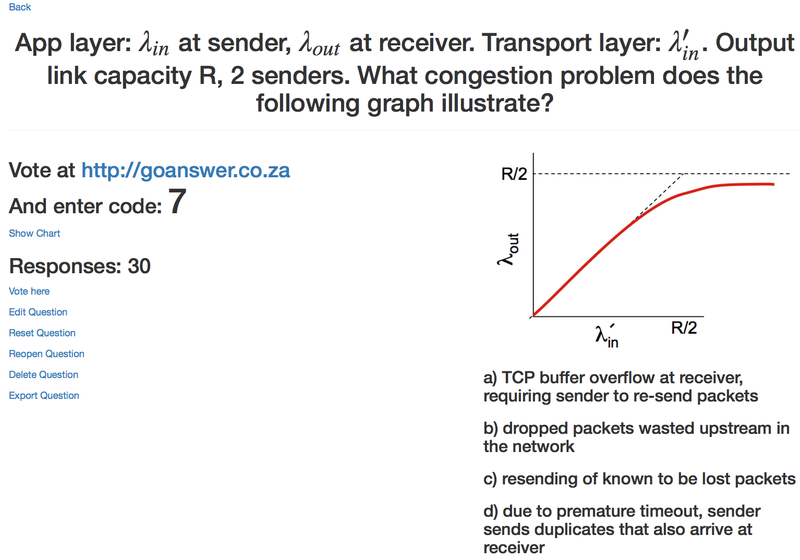 The setting is that it is posed right after students try to come to grips with flow control (TCP buffer at the receiver) versus congestion (in the network), and within congestion, the effects of lost packets (that have to be resent, but only 1 arrives) versus delayed packets (packet resent, and both arrive at the receiver). What is the answer? Clearly, the first distinction is to eliminate TCP buffer at the end versus network congestion issues. The buffer size is handled by TCP such that it will never overflow to lose any packets there (part of the protocol), so it must be congestion that causes the red line not to reach the dotted one, ever. With (know to be) lost packets, only one arrives; with delays, duplicates arrive. Due to having to handle duplicate packets, the receiver receives more packets than strictly needed, so the red line can never reach the maximum. 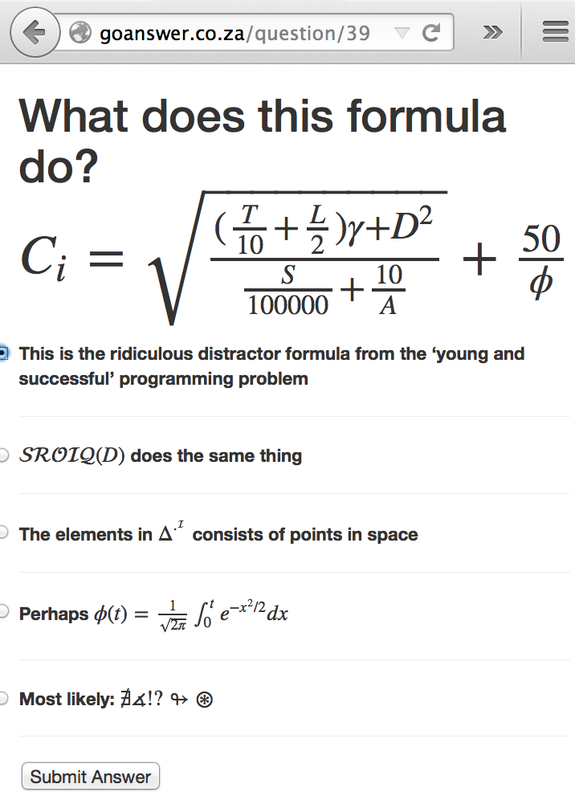 Hence, (d) is the correct answer. Another one that I like is the ARP one, which basically tests understanding of network layer services versus link layer services as a first pass, and then what ARP is actually doing. The question is as follows. Consider the following network configuration and addresses. Host A wants to communicate with B. It did so yesterday. Which of the following will NOT happen/is NOT true? 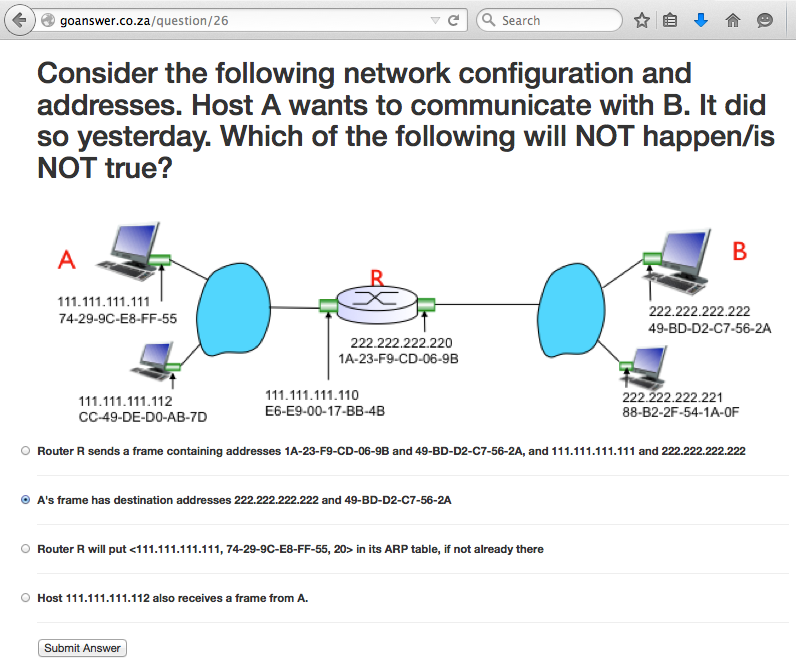 a) Host 111.111.111.112 also receives a frame from A. Read the explanation in  if you want to know why the answer is option (c). Or, take something what seems to be contradictory, but isn’t: statelessness and persistence (on HTTP). 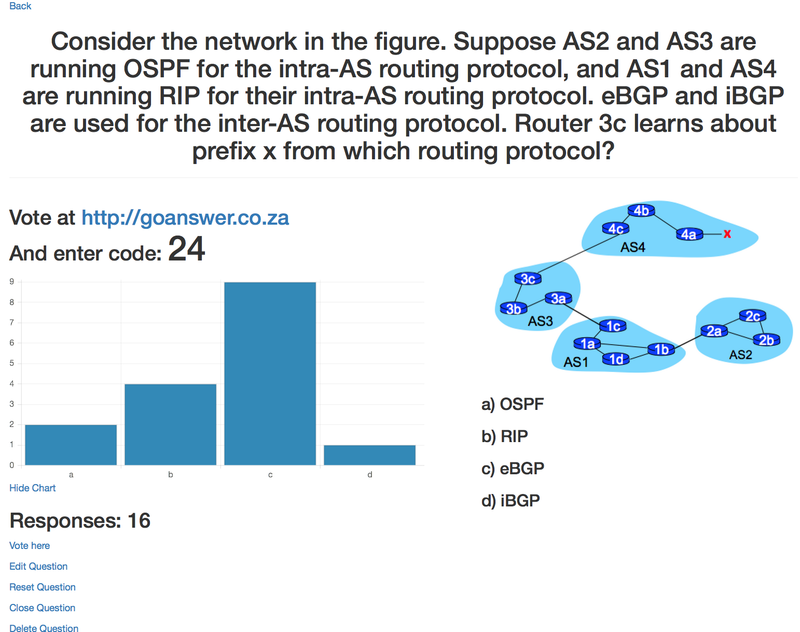 One of those think-and-analyse questions is the one on protocol design, notably regarding reliable transfer, and a hint of a gradation in goodness of answer, and therewith inherently some argumentation is needed regardless of what option one chooses. Consider the following protocol that tries to solve reliable transfer over a channel with bit errors. It has several shortcomings, some worse than others. Which of the following is the worst? It requires one to ponder about what it means to have a really a bad protocol design (what is ‘worst’?). Getting stuck in a state forever—‘hanging’/’freezing’, if you will—is really, really bad. But, we’re dealing with a protocol “that tries to solve a channel with bit errors”, only. The scope is not lost packets, but corrupt packets, so it won’t get stuck in the “wait” state because a msg always arrives; hence, it cannot be (b). Then, what is worse of the other three? Superfluous NAKs, just because you can do it with ACKs + sequence numbers? Waiting for a response on your individual message, knowing that there are more efficient protocols that can pipeline packets with cumulative AKCs to reduce waiting and limit the cable being idle (option (b))? That surely is suboptimal, but what does that have to do with ‘worse’ from a viewpoint of reliable transfer as the only requirement? 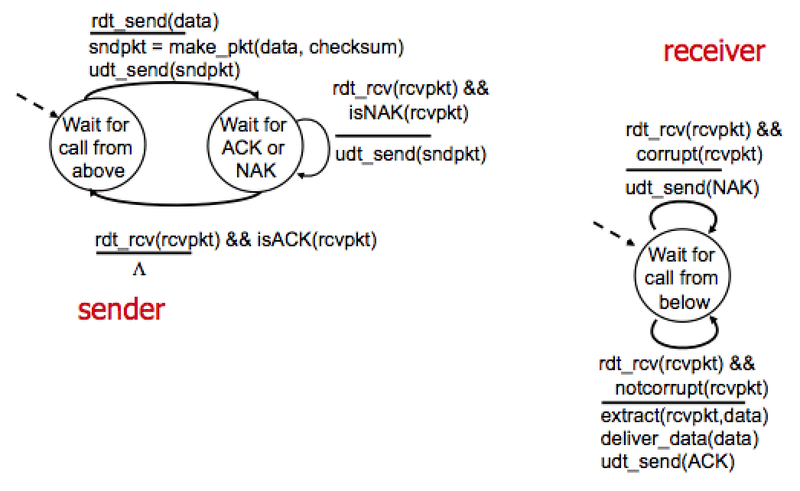 Or, still from a reliable transfer viewpoint, the receiver can’t figure out if the msg is an ACK or a NAK (option (a))? After all, with bit errors, it may well be the case that not only the msg arrives corrupted, but also the ACK/NAK. If the sender doesn’t know which one it is, and doesn’t know what to do with such a jumbled-up ACK-or-NAK packet, it cannot guarantee it has reliably transferred the packet. That’s certainly worse than having a cable idle (which is also a problem, one of performance, but not as bad). This reduces the option to either (a) or (d). A superfluous NAKs is, well, superfluous in the design, because one would have the handle those if they were there, and one could be more elegant in the design if they weren’t there, but it’s not as bad as not dealing with them at all. 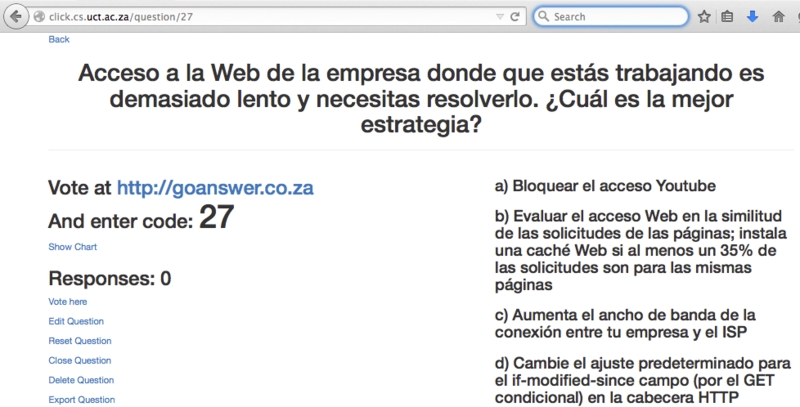 So, the answer is option (a). These are just some of the questions that probe a bit deeper than the more commonly known rote learning for networks. It’s not that networks in CS is not devoid of rote learning—there’s quite a bit of it, in fact—but there surely are some things one would do well to try to understand. If you want to have the full set of questions, don’t hesitate contact me; by then I hope to have them formatted in a more presentable way, with explanations for each question. P.S. : Note to my dear students: yes, the latter question appeared in a slightly different format in the class test, as did the one on stateless and persistence, as did the congestion control one in the exam (in non-MCQ format). Awww… if only you would have attended lectures and had taken notes… It’s not that I want you to fail, just to show unequivocally some of the myriad of benefits of attending lectures. Crouch, C.H. & Mazur, E. (2001). Peer Instruction: Ten years of experience and results. American Journal of Physics, 69, 970-977.